Attorney Reza Breakstone Category Archives — Massachusetts Injury Lawyer Blog Published by Boston, Massachusetts Injury Attorneys — Breakstone, White & Gluck, P.C. Friends, family and colleagues helped us celebrate 25 years of serving our clients in June. Photos from the event were published in Massachusetts Lawyers Weekly on August 31, 2017. Subscription required for access. 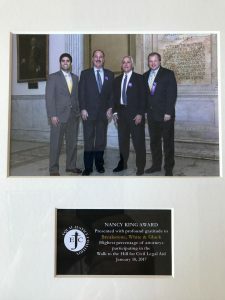 Breakstone, White & Gluck has received the Nancy King Award for its 100 percent participation in last year’s annual Walk to the Hill for Civil Legal Aid. The Equal Justice Coalition, which organizes the annual Walk, recently presented our firm with the award. 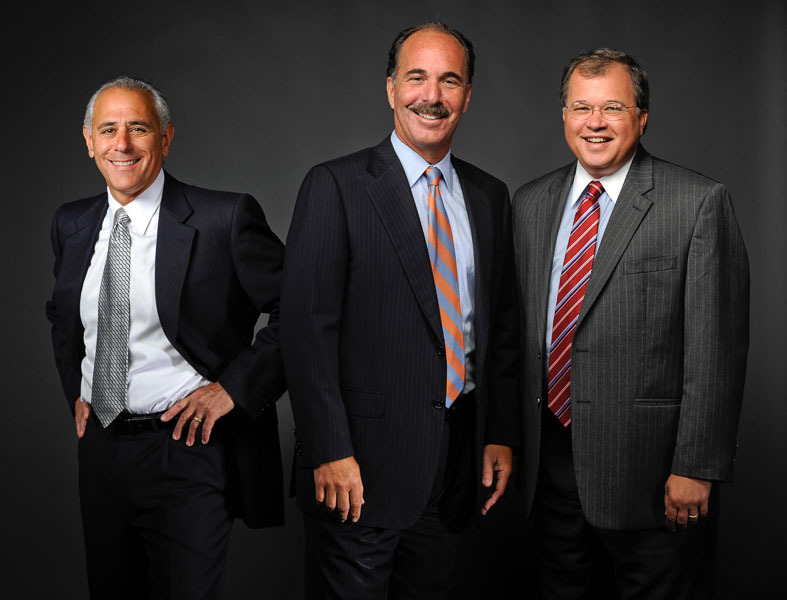 Attorneys Marc L. Breakstone, David W. Whit e, Ronald E. Gluck and Reza Breakstone participated last year. The Walk was held on January 28, 2016 at the State House in Boston. Hundreds of attorneys gathered in the Great Hall to hear from Chief Justice Ralph Gants of the Supreme Judicial Court and Attorney General Maura Healey. Several past presidents of the Massachusetts Bar Association participated, including Attorney David W. White, who served a term from 2007-2008. The attorneys were then dispatched to speak to state Senators and Representatives and urge them to fund the Massachusetts Legal Assistance Corporation line in the Fiscal Year 2017 state budget. Last year’s campaign was successful, which should provide good motivation for even more attorneys to attend again this year. Governor Charlie Baker approved $18 million in funding for civil legal aid in the final Fiscal Year 2017 Budget of the Commonwealth. This was a $1 million increase over the prior year’s funding. With the additional funding, the Massachusetts Legal Assistance Corporation was able to help more low-income people facing homelessness, domestic violence, gain access to health care and other legal services. To qualify for civil legal aid in Massachusetts, a family must earn no more than 125 percent of the Federal Poverty Level (or $30,375 a year for a family of four). Despite the increase, the Equal Justice Coalition reports that legal aid organizations are still forced to turn away 64 percent of those eligible because of a lack of funding. This year, MLAC is seeking a $5 million increase for civil legal aid. To learn more about the event, visit http://equaljusticecoalition.org/. 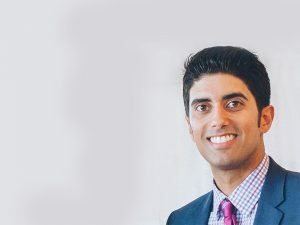 Attorney Reza Breakstone writes about the legal ramifications of self-driving cars in an article published in the Winter 2016-2017 edition of The Litigator, the official publication of the Capital City Trial Lawyers Association in Sacramento, California. Attorney Breakstone co-authored the article with Attorney Paul Hoybjerg of Roseville, California. 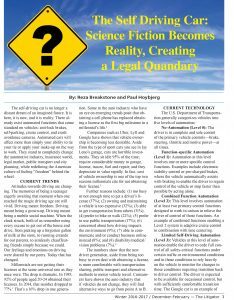 In the article, “The Self Driving Car: Science Fiction Becomes Reality, Creating a Legal Quandary,” the authors write the time has come for the self-driving car. The article explains the current levels of automation among vehicles on the market, investments in the industry and ramifications for auto insurers and plaintiffs and defendants in personal injury cases. 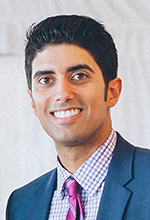 Attorney Reza Breakstone joined Breakstone, White & Gluck as an associate in 2015. Learn more about Reza on our website. Breakstone, White & Gluck has completed its 2016 Project KidSafe campaign, donating nearly 5,000 helmets to children in Massachusetts this year. 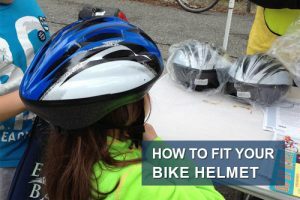 With help from local bicycle committees, police departments, schools and community groups, we have now donated more than 10,000 bicycle helmets over four years to help children ride safely. Our partners, Marc L. Breakstone, David W. White and Ronald E. Gluck, thank everyone who has helped us and embraced our goal: to keep children and families safe and encourage them to wear a helmet every time they ride to prevent serious head injuries. Attorney Ron Gluck and Attorney David White join the Cambridge Police and students at the Cambridgeport School. Breakstone, White & Gluck donated 140 bicycle helmets for the Cambridge Police to distribute through its first-ever helmet voucher program. Attorney David W. White at a safety event in Easthampton last May. Breakstone, White & Gluck donated 140 helmets for the event. Attorney Marc L. Breakstone and the fifth-graders at the Dr. Albert F. Argenziano School in Somerville. Breakstone, White & Gluck donated 300 helmets to students who finished the CYCLE Kids curriculum. Milton Bike fits helmets donated by Breakstone, White & Gluck’s Project KidSafe campaign for children at Celebrate Milton in October. Attorney Reza Breakstone fits a helmet at the Dedham Bike Rodeo. 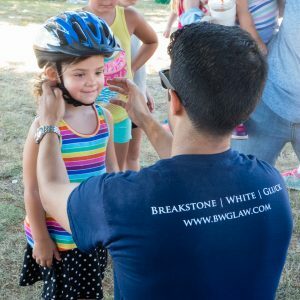 Breakstone, White & Gluck donated 120 bike helmets to children at the Dedham Bike Rodeo. This was our fourth year participating. Tewksbury Police distributed helmets from our Project KidSafe campaign. Attorney David W. White with a young cyclist at the Joseph M. Tierney Learning Center in South Boston last summer. In August, Attorney David White with Everett Police Captain Richard Basteri. Breakstone, White & Gluck donated 100 bicycle helmets to children served by the Windsor Street Care Center in Cambridge. Attorney Reza Breakstone and Framingham Police fit children for helmets at the Framingham Earth Day Festival. Children in Easthampton listen to Attorney David W. White speak about bicycle safety. Photo: Attorney David White stopped at The Home for Little Wanderers this week and delivered bicycle helmets from Breakstone, White & Gluck’s Project KidSafe campaign. He was greeted by (left) Paige Oldaker, Leadership Gifts Officer; Johanna Lauer, Volunteer Mentor; and Taryn Marino, Manager of Volunteer and Mentor Programs. (next to David). Attorney Marc L. Breakstone with a cyclist and an instructor at the iCan Shine Bike Camp in Arlington last April. Graduates of the Girls in Action Program with Attorney David W. White. Breakstone, White & Gluck donated helmets for the program, which is led by Bikes Not Bombs. Attorney Ronald E. Gluck and Attorney David W. White with members of the Malden Police Department, which received 100 helmets from our Project KidSafe campaign. We were also pleased to support safe riding in other ways, by sponsoring the Boston Cyclists Union, MassBike, Northeast Bicycle Club, Charles River Wheelmen, New England Mountain Bike Association (NEMBA), CYCLE Kids and Bikes Not Bombs. We are also sponsoring the Boston Bikes #BeBrilliant campaign again in 2016. We are reprinting a Letter to the Editor which ran in today’s Massachusetts Lawyers Weekly. The letter was written by Attorney Reza Breakstone of Breakstone, White & Gluck in Boston and J. Paul Hoybjerg of Sacramento, California. The Oct. 3 page 1 story “PI bar eyes ‘driverless’ technology carefully” raises important questions regarding the future of auto injury claims and the potential impact on tort lawyers. One of the central questions is: Should all auto injury claims involving a self-driving car be treated as product liability claims? Our contention is no; tort law will be perfectly suited to address claims involving self-driving cars. Although self-driving cars seem like an imminent reality, they are, in fact, still many years away from hitting the roads en masse. The technology will be phased in like other automatic features on cars. Responsibility for control of vehicles will diminish gradually. Even after cars become more autonomous, humans will remain involved in many aspects of the operation of the vehicles. For example, there will be times when a person must take over the car or bring it to a stop. One must also keep the car in good condition, not permit operation in adverse weather conditions, and maintain the vehicle according to manufacturer recommendations (i.e., it may be negligent to make after-market changes such as lowering a vehicle or installing a new exhaust or programming chip to increase the speed). Although product liability claims may be appropriate in certain instances, we are confident that the common law of negligence claims will evolve with the technology. A wholesale transformation of the practice is unnecessary. It is wise to look to trends to predict disruptions in the practice. But the self-driving car need not be that disruptive. As long as humans are involved in the operation, maintenance, modification or repair of autonomous vehicles, tort jurisprudence will apply. Read the Letter to the Editor here or it is available on Massachusetts Lawyers Weekly with subscription access. We joined hundreds of lawyers at the Massachusetts State House Thursday to lobby for increased funding for civil legal aid. We gathered as part of the 17th Annual Walk to the Hill for Civil Legal Aid. Funding is in crisis in Massachusetts, with nearly two-thirds of eligible low-income residents who seek help being turned away. With an increase, more people will be able to stay in their homes, find shelter and avoid hardship. Please keep reading this blog on the $27 million budget appropriation sought and visit this page to contact your legislator. 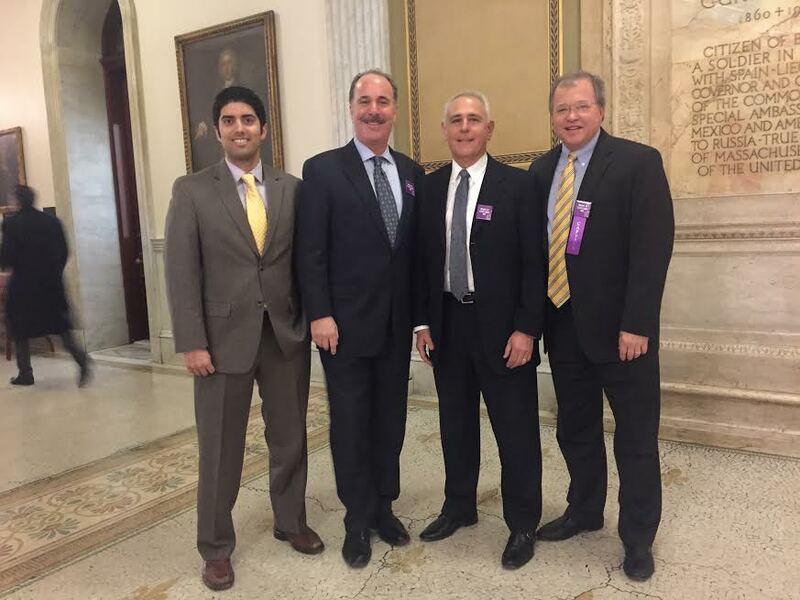 Right to Left: Attorney David W. White, Massachusetts Bar Association President (2007-2008), Attorney Ronald E. Gluck, Attorney Marc L. Breakstone and Attorney Reza Breakstone at the Annual Walk for Civil Legal Aid on January 28, 2016.